Batten disease is a rare neurodegenerative disorder that takes away childhood and then takes away the child. But there is hope. 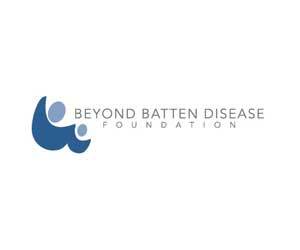 Beyond Batten Disease Foundation’s mission is to eradicate Batten disease. We seek to accomplish our mission in two ways: 1. Raise awareness and money to accelerate research to find a cure for Batten disease. 2. Develop an easy and inexpensive blood test to detect the gene mutations for Batten disease, and hundreds of other rare conditions like it, that claim the lives of thousands of children each year. ———- Craig and Charlotte Benson established Beyond Batten Disease Foundation in August 2008 after their five-year-old daughter, Christiane, was diagnosed with Batten disease. Together with hundreds of families affected by Batten disease, and many more supporters who share their hope and resolve, they are working tirelessly to create a brighter future for Christiane, and all of the other children with Batten disease.